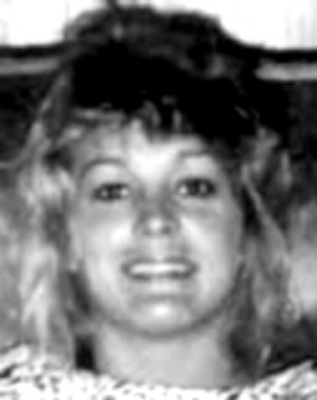 There has been a family request for Tarot in respect of Marinthia Ann McCoy last seen October 16th 1989 in Daytona Beach, Florida. Marinthia was apparently heading back home to Jacksonville but did not show up and has not been seen since. Not a great card to start with. There is a feeling of ill health and hopelessness in this card. I just feel there is some kind of accident or something just happened out of the blue, I might be wrong but I get an immediate feeling of sickness or feeling drained and disappointed and this can apply to a love affair also. Theres some kind of 'false accusation' here Im not sure what its referring to but this lady has possibly paid a high price to end a love affair? Number 17 is on this card and that adds to 8 bringing in the reversed Strength card. This can seriously affect the respiration. The colour white would be here and a river, stream or water element even a brook or pond might be present it could just be the landscape that would have a mountain on it and appear possibly to be barren or waste land or even rural. I keep wondering if there is a wall with a sign on it? I can see animals in this card. I am seeing a possible terminated pregnancy here? Number 3 comes up. Mother? Spring, bird, Hollow? Canal? Endings in various parts of her life. I think theres some bad judgement here if Marinthia needed help Im not sure if she was able to ask for it . I just see so much self doubt here. She doubted herself or a situation? I have a person description and place descriptions. We must note that they may represent places around an area such as landscape but equally could just be giving one or two keywords to take note of perhaps the name of a place. I can only leave them here and hope they make sense in some way. Firstly and it could be a description of Marinthia herself or someone else, we have someone who is not particularly tall, more average or small, but strong body, sandy or dark blonde hair. Hazel eyes, prominent bone structure. West or North West being given ( this card is reversed and might reverse that) so all information must be looked at carefully, bones teeth and skeletal structures can show here, problem with breath. Landscape or surrounding areas, or keywords to NOTE may be deep wells, quarries, mines and land that has recently been dug. Hills, aviation. Water names or actual, fountains, springs, vineyards, plumbers, fishermen, taps showers baths links to water and power supplies. Inside a building would give us attics or upper rooms. Other possibilities would be eserts, woods, obscure valleys, caves, dens, holes, mountains,, church-yards, ruinous buildings, coal-mines, sinks, muddy places, wells and houses of offices. Someone who does not like women or has fallen out with them or jealous person. Person who might be middle stature, eyes small and dark, broad forehead, black hair,, thick lips and nose, a trace of beard . West coming up again and someone who may be tall thin, dark hair, good eyesight, Hazel eyes, might describe one of the people already mentioned or be keywords for a place -- ie, Hazel. Someone who is mentally ill or has some kind of paranoia or disturbed mind. Places either actual or by name of road street or place may come under Hills and mountains, high places, barns and storehouses for corn and grain, ie Storage places . Libraries and studies, the walls of houses,money names such as Bank Wallet or Purse or any other link to money. Looking 'high' so perhaps an area that IS high or has High in the name. Also if inside upper parts of a building. . Links to shops, markets, fairs, schools, common halls, bowling-alleys, ordinaries tennis courts could be in vicinity or keywords for names of places. Seeing stone so there could be a building here or a well or stone surrounds somewhere? This lady might have been afraid of what people think of her and might have been easily influenced. Might have got involved with 'not nice people or person' and wanted to shake them off. Waste? poisoned water OR liquid? Marinthia may have had something wrong with a vehicle as she might have needed a torch in the dark or took a wrong turn. There are a few dangers with the dark here or even predators. Drinking could show up here and if there was any drugs or drinking and driving that could be a problem. The next card could show a stone bridge or something stone and water nearby. Im linking this lady into 30 years ago with this card even though it is a 21. We have to note that 2 and 1 is 3 might be a route number or distance. Three shows 'mother'? BUT this card is a travel card and I think I have to link her to that travel or a vehicle or a change in residence so she could have been leaving the one place and going to the other. The travel card here does tend to give us a circle so we have to bear that in mind. Its also a card that links somehow to dancing or the word 'full circle'. We could at a push travel overseas in this card too and it has to be taken into account or let us know that there is water here somewhere. We are at the end of our Journey and the next turning is North West. There are possible physical concerns here. Im getting 'family' being said to me and a car/vehicle. Also a B, J, D, or R for people or places and some kind of secret being shown here or a note or unfinnished story. University college? A cliff rocks or somewhere high, a dog or dog in the road. There might have been some sexual elements here with someone or a feeling of being threatened or even attacked, a concern and a restricted environment somewhere dark but damp restricted movement. Sometimes a basement, untenanted building, cellar, damp ground mouldy place, black mud, drains, sewers, wet boggy land, old buildings by the water, ice snow or ponds, wells holes or potholes. North facing sunless gardens dirt and damp. Churches, churchyards or spiritual links. Imprisoned or feeling imprisoned. The word Clay also other descriptions that could be actual or attempts at place names are the following keywords, smiths, shops, furnaces, slaughterhouses, bricks or charcoal or where it is burnt burnt, chimneys, forges. Someone well built dark hair dark eyes short neck squat in appearance, North East is given. I am hoping that Marinthia was not roped into doing anything foolish. I am seeing the Red Cross? Did Marinthia once used to be a nurse? I am wondering about Nurse or nursing Im not sure why. Might be another reason for seeing this. Difficult card, might find we are going around in circles trying to find Marinthia but there is a bit of deception on this card. We get keywords such as fox army and fair. Was Martinthia in the army or I wonder if she had some links to the army or military or some kind of 'forces'. There are airports mentioned here and railways so travel links. Maybe they are in the vicinity? Markets and fairs, forts and shops can show up with this card. There is a 7 here and the direction given initially is East. Places may already have been searched and we have to bear in mind that all the cards have to be read as past present and future and combined together to get a picture of events. Some information may not make sense to anyone but those who are privvy to personal information regarding Marinthia. However, this card stands for Water Rocks and Stone and also Canyons. Weapons can come up in this card in the form of knives and/or guns or there may be surgery? There is something wrong with Marinthia's eyes OR she is saying 'open your eyes and see' something devious going on. She is linked somehow to two other people. Colour yellow and a journey by land. As soon as anyone feels they are getting 'close' to finding Marinthia it seems like a false alarm. 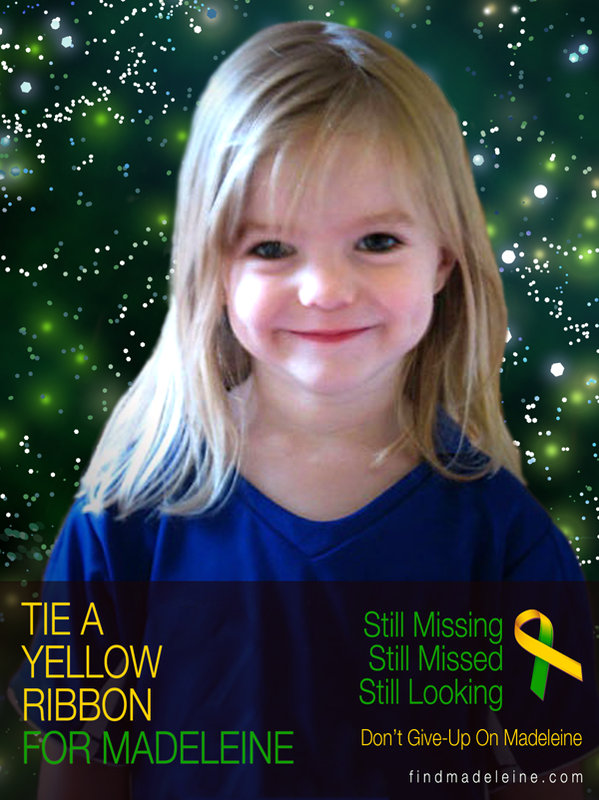 She may have been abducted or kidnapped. Quarrelling wont help find her? Theres a dark haired woman here who lives in the country. The number 7 may be a route. Told to read this again. This card Normally gives us 7 months as it is a months card but I rather think we should be looking at the directions and think of 7 as a route or look for another reason why this number is coming to us. I seem to see a postponement on finding her, its like there is no forwarding address here which will make things difficult so though it is not permanently out of the question Im not sure whether she can be found or she may have been found but not recognised? It might take diplomacy tact and intelligence to successfully find Marinthia. Other tactics need to be employed. There could be some 'foreign' elements in these cards. A lawyer, legal/police matters or a doctor may come up in these cards also. Worth mentioning. This is a brief outline for Marinthia and hopefully something here might be useful. Please check back for a map. Meanwhile, its possible that some details may not apply but I have written what Tarot has given to me and everything should be read together to try to form an opinion. So I didn't give to much detail bc was hoping to not influence, the minute I started reading you hit the nail on the head, she was involved with a politician who was married, I personally think she was pregnant & she asked for help & he silenced her as to not ruin his reputation, that's my opinion but it seems like tarot is leaning in that direction as well, there are lots of farms & rural areas between Daytona & Jacksonville in the st Augustine area. I've always believed she was dumped there. We've always known in our hearts he killed her (not naming names) but just wanted her home for a proper burial. So much of this makes sense &i read your tarot all the Time for missing people & now that I am in involved I understand it so much more! Thank you so much for taking the time to do this for us. Thank you for writing in and commenting and for the further information. All I can say is that I hope something in the Tarot is going to help however small.